Although I personally prefer to head north to the cool sand beaches of Michigan, ANY time (might have something to do with my name), this summer Hubby and I decided to go south for a change. We’d never been to Kentucky or Tennessee, except me, as a kid of 7. I gave in even if it was forecast to be in the mid-90’s, high humidity (99% is high), and thunderstormy. It was a new summertime someplace adventure. We picked six highlighted places to go. 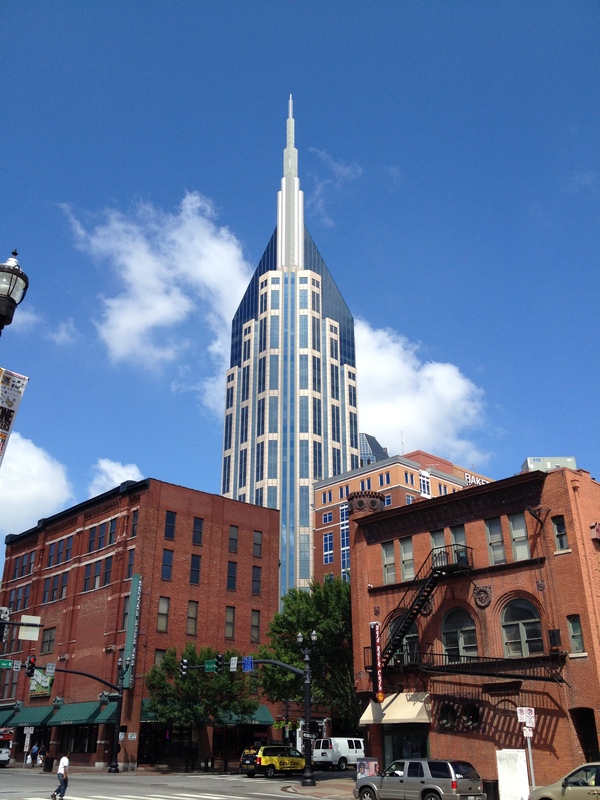 Our second highlight was Nashville, Tennessee. I’d envisioned it as a small, redneck town. You know, like one you could walk into one of the many tiny recording studios along a hilly street, cut a record, and become famous. (I spoke to Elvis the other day, and he told me so.) But, not true! Nashville today is almost 700,000 in population. That ain’t no hick town by any standard. 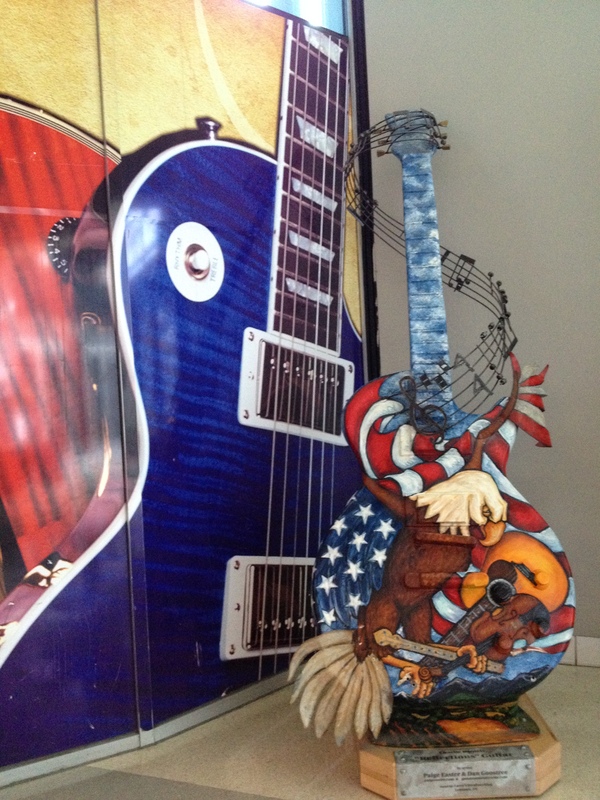 The music industry (Nashville is called Music City) has made this place very cosmopolitan. Our hotel had shuttles every thirty minutes to the impressive downtown area. Very convenient. 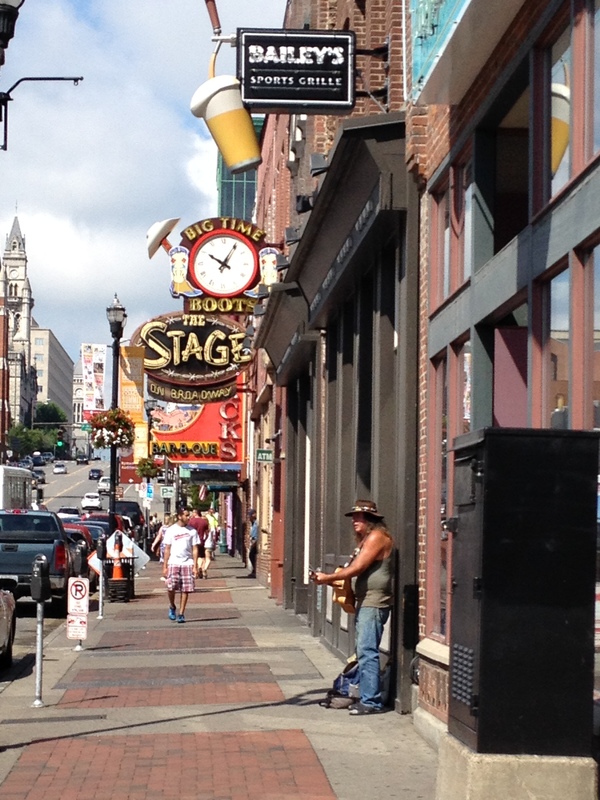 The honky-tonk “Lower Broad” (Broadway) was fun. It is packed with bars and eateries, each with their own stage (in some cases, several) for musicians to perform. Our son who works in the music industry and has been to several conventions at the huge Nashville Convention Center, advised us to just walk down Broadway, listen for a band we liked, go into that bar, have a drink, tip the band, and move on to the next place we heard and liked and do the same. We walked “Lower Broad” in broad daylight, but even with the early time of day, there were music groups playing in some establishments as well as street musicians. 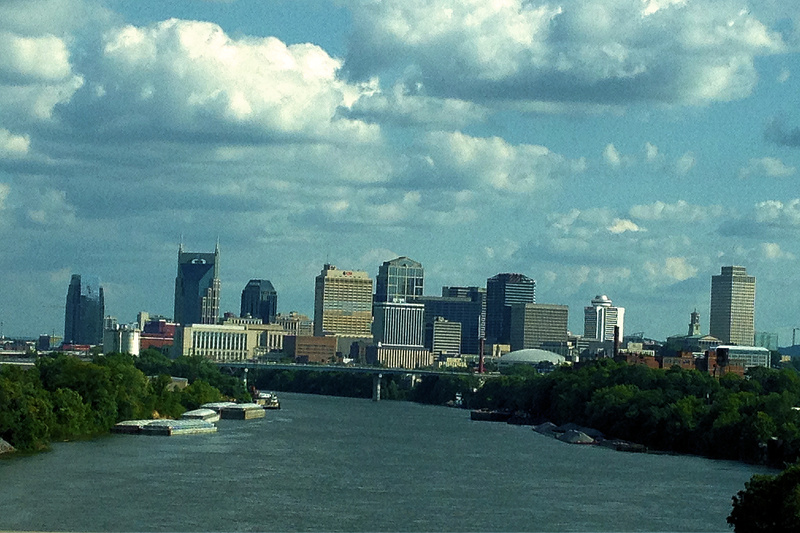 We walked some of the Cumberland River bank, had ribs and local beer, and shuttled on back to our hotel. 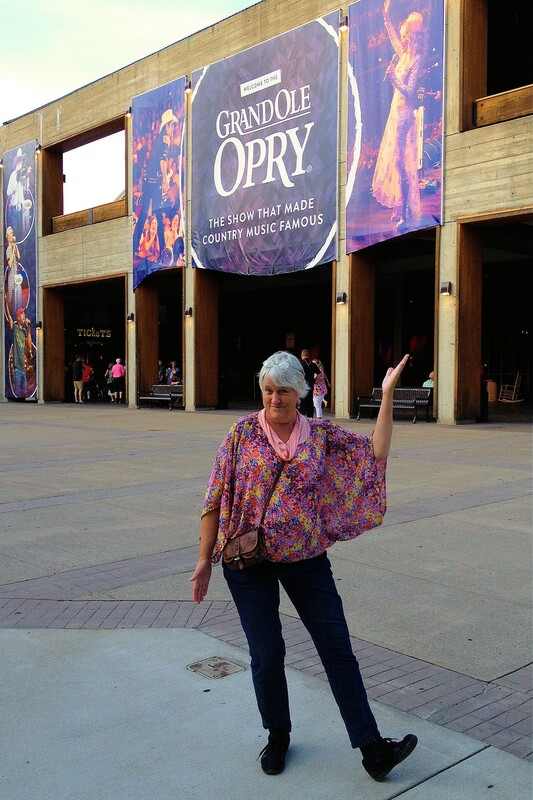 That evening we drove out to the Grand Ole Opry House. 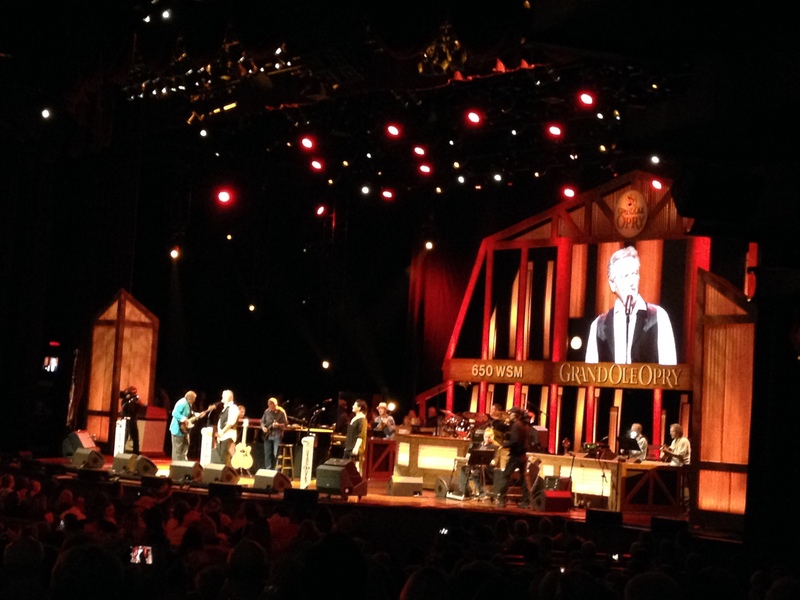 This is the third or fourth location for the Grand Old Opry stage. This most recent auditorium has 4,372 seats. The House is conveniently located next to the Opry Mill Mall, and where Opry House ticket holders are encouraged to park. There must be a symbiotic relationship between Mall and Opry House. We went into the mall and bought things. It was very interesting to see a vivacious, populated mall when malls throughout America seem to be dying out. It even holds a 20-theatre movie theatre. I must confess I’ve never been much of a country music lover, but listening to the variety in one night, I can’t quite say I’m a country fan, but sure am willing to listen. The slick-run two-hour show held each of the individuals or groups to three songs each, whether they were newcomers, current hit makers, or legends. We expereinced two standing ovations the night we went. Amazing. Naming Nashville “Music City” is no lie. There are literally thousands of venues for artists to perform, for free, for tips, or for pay. The really big trouble is there wasn’t a single musician or group I heard that didn’t play really, really well. However does someone make it in the music world these days, to not just recording tI must confess I’ve never been much of a country music lover, but listening to the variety in one night (the musicians could perform three songs only), and even recognizing some names and tunes, and hearing new artists, I can’t quite say I’m a country fan, but I’m now sure willing to listen to their music, but to getting music industry people to listen and like it, and then to have the public do the same? It got me thinking of unpublished writers I know who are excellent writers, some even with agents (someone besides family and me believe in them!). In the writing world, too, it is really, really hard to break in and get published; and then after publication, noticed and read and liked by strangers. Trying to be published or recorded can be so depressing. Luckily, Nashville also is home to the chocolate bar, Goo-Goo Cluster. They are worth every nibble of the 240 calories in a single bar, whether you’re depressed over not getting recognized or just in a sweet mood. I never had them before. I sing and play guitar well enough to go on some of the Nashville venues (even though that won’t happen), but, oh, yum; now I’ve got a new favorite candy bar. Thank you, Nashville. This entry was tagged Grand Ole Opry, Music, Nashville, Pubs, Tennessee. Bookmark the permalink.